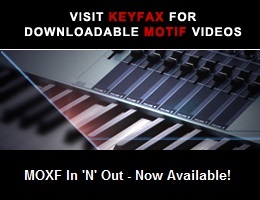 Viewing topic "How to load a MOXF User voice into Motif XF"
I created a voice on my MOXF which I want to transfer to my Motif XF, but don’t know how - can somebody let me know? You cannot directly import (LOAD) MOXF data to the Motif XF. You could probably get there using the John Melas Software. See This Thread, and the Links within it.